I was wandering around Raffles Place deciding what to buy for lunch, when I came across a crowd of people watching a single man in protest in Singapore against the Terrex conspiracy. He was holding a flimsy placard calling for the Prime Minister Lee Hsien Loong to resign over the Terrex conspiracy and repeating the mantra via loudspeaker. In typical Singapore fashion, I copied what everyone else was doing and started videoing the guy without understanding the significance. As soon as I got back to the office, I called my Singaporean colleagues over to explain what the big deal was and what the Terrex conspiracy all about. They were all shocked to watch the video and reacted ‘there is no way he is Singaporean’. They then proceeded to replay the video and listen closely to his accent. They guessed he must be from Hong Kong, who are known for their troublesome behaviour, otherwise he was a mainland Chinese. I learned it is against the law to protest in Singapore. If you watch the full video, you will see after the man’s feeble attempt to protest a conspiracy not well explained, four police officers arrived on the scene to handcuff him and take him away. 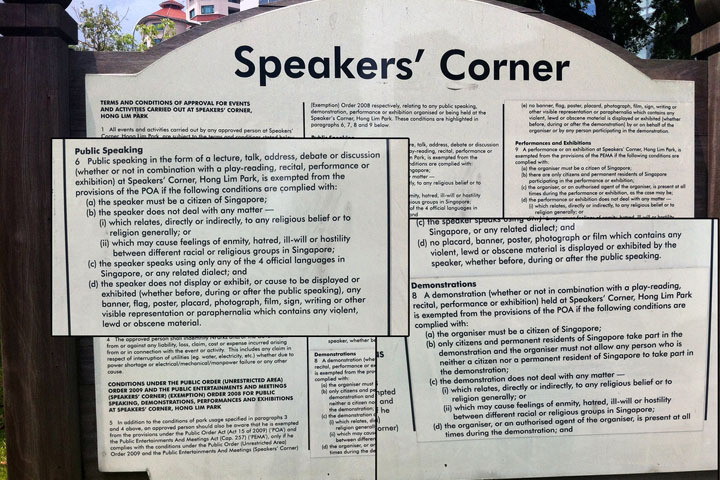 In Singapore, protests or demonstrations can only be held at Speaker’s Corner in Hong Lim Park, which is the only ‘free speech’ area in the country. Prior registration is required by organisers, who must be Singapore citizens or hold Permanent Resident status. The organisers should communicate their intentions and details of activities to the National Parks and Trees authority at least 30 days in advance, and whilst freedom of speech is permitted subject to this approval, any lewd or vulgar expressions cannot be displayed in writing on banners or other paraphernalia. Racist or defamatory content is also prohibited. Since in this case, the protestor was criticising the government in a non-free speech area and without prior government approval, he was breaking the law. Many foreigners are surprised to learn that freedom of expression is restricted in Singapore, which is one of the most advanced, successful and international countries in the world. However I do not view it so much as censorship but rather a conscious attempt by the government to control dialogue in a positive way. I can see many visible and very positive results of this. Firstly, the average Singaporean is extremely patriotic and proud of their country. 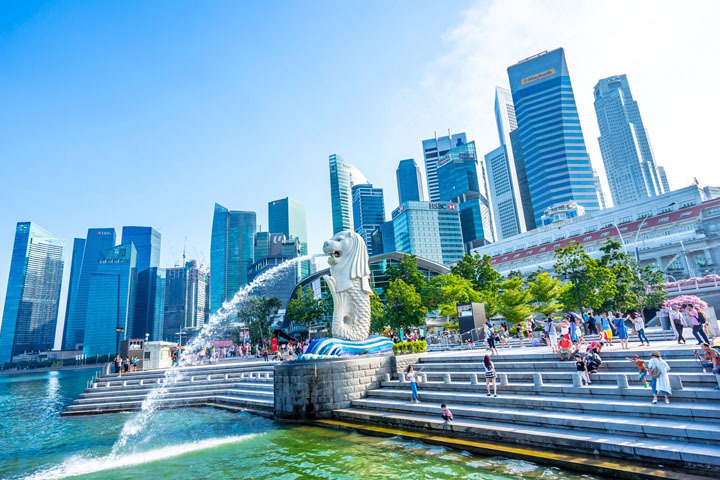 When I first moved to Singapore, the locals I met with keenly volunteered information about the achievements and culture of my new home so I could integrate more quickly. I probably have a better knowledge of Singaporean history than my own country, due to the number of times I have heard it repeated. Singaporean’s all seemed to emphasise the same positive attributes, such as that Singapore is a young country that started with nothing and achieved success in a short time. That Singapore prides itself on being inclusive of all religions and cultures, with large populations of ethnic Chinese, Malays and Indians living side by side in harmony. And that Singapore is a beautiful and clean country, where everything functions well and plenty of trees and plants are cultivated alongside cutting edge skyscrapers and architecture. 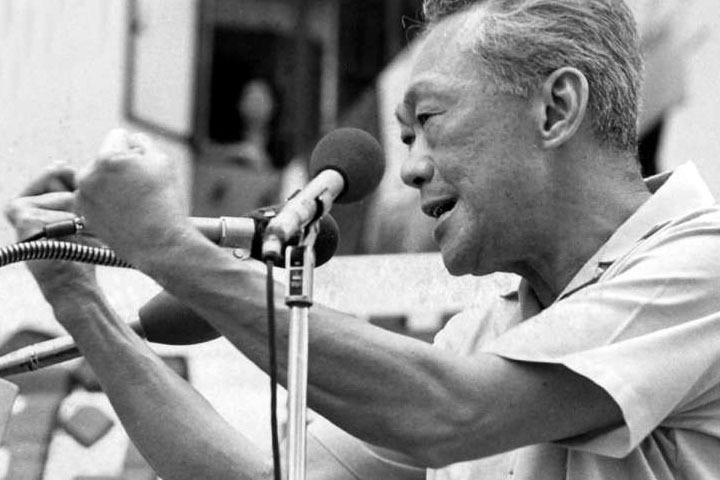 The Father of Singapore, Lee Kuan Yew is revered and loved by all despite his iron fisted rule. Whilst some may say these are only words, they are also backed up action. Singaporean’s love to travel and experience study and working abroad, but they almost always return home to settle down and plant their roots. The family unit is extremely important. Whilst there are economic factors for this, such as tax incentives offered to Singaporean’s who settle near to their parents, there is a culture to spend weekends with family and rely on the family network for support when raising children. I am a well travelled person, and when I contrast this proud patriotism for Singapore to my other experiences abroad, it really stands out. When I lived in the UK, the average Brit enjoyed nothing better than to moan about the government and complain about taxes. All the knowledge I gained about Britain’s history was from museums and books. In Australia, most people are so embarrassed by their government (especially after the whole Barnaby scandal) they simply don’t engage in such discussion and try to focus on more positive things in life. It also goes without saying, the country’s history is something most prefer to sweep under the carpet. Even in the most liberal country in the world, freedom of speech is never an absolute right. The right to express your views is always bound by the notion of causing harm such that hate speech and anything of a discriminatory or suppressive nature to minorities must be repressed to maintain a civilised society. If we apply the concept of harm to Singapore’s story, their approach to expression makes even more sense. Singapore is unique in its multiculturalism but also its need to try harder and work smarter than its neighbours due to a small population and lack of natural resources. The only way Singapore can truly be competitive is if the entire diverse population works together to make the country great. Everyone has a part to play, no matter their position in society. A united vision and belief in the goals of the country is essential. Positive speech control reinforces it. Negative speech causes harm to country’s goals. If we go back to the original protest I witnessed, what remains puzzling is the individual’s qualm with the so called Terrex conspiracy. The Terrex incident, which was reported at the beginning of 2017, was about Singapore Armed Force’s Terrex armoured vehicles, which were detained in Hong Kong. Browsing the internet, it appears the supposed conspiracy is that Singapore sold its soul to China following the death of Lee Kuan Yew. Conspirators point to a number of so-called-facts to support the allegation, including Singapore’s weak attempt to stand up to China to demand the speedy return of its Terrex vehicles. More recently, it has been observed the brother of the current Prime Minister, Mr Lee Hsien Yang was spotted in Hong Kong (perhaps doing a deal with the Chinese) shortly before he began airing his grievances on Facebook about Oxley Road and Mr Lee’s current rule of Singapore. To the great shame of the country, the consequence has been that 38 Oxley Road where the Prime Minister’s sister currently resides has turned into an Instagram hot spot!! Clearly the so called Terrex conspiracy is ridiculous and not at all in line with the vision and ambition of Singapore. However it was a rare experience for me to witness a live protest in Singapore and if anything, it caused me to have greater appreciation and admiration for this small and proud country. Well, had I not read your post I wouldn’t have known that protest is against the law in Singapore. I guess the policymakers have their reasons and it probably contributed to how Singapore is now. There are definitely some pros and cons, but I guess dura lex sed lex, it is harsh but it is the law. But interesting how you were able to watch a live protest in a country that does not promote such, this is proof that people really want to voice out which is great as it shows a sense of nationalism.